Every home should have a craft room, or at the very least, a dedicated space where creative activities can be enjoyed. Countless studies done over the years have shown that creative hobbies have the ability to improve memory, inspire out-the-box-thinking, assist with problem-solving and even help kids and adults build confidence and reduce stress. In this guide, we share some tips on how to create a craft room that the whole family can enjoy. Make use of natural light. Wherever possible, try to make use of the natural light you have available. Natural light is always ideal for almost all types of crafts. Whether you’re hoping to get back into drawing or painting, thinking of taking up sewing, trying something like bead making or knitting or simply looking to let off some steam for a few hours of craft time, the better the light, the more easily you can weave a little magic. If you have a window in your craft space, position your table or desk in this spot. If there is no window at hand, you could try looking for soft lighting that gives plenty of light without too much of an unnatural or harsh glare. 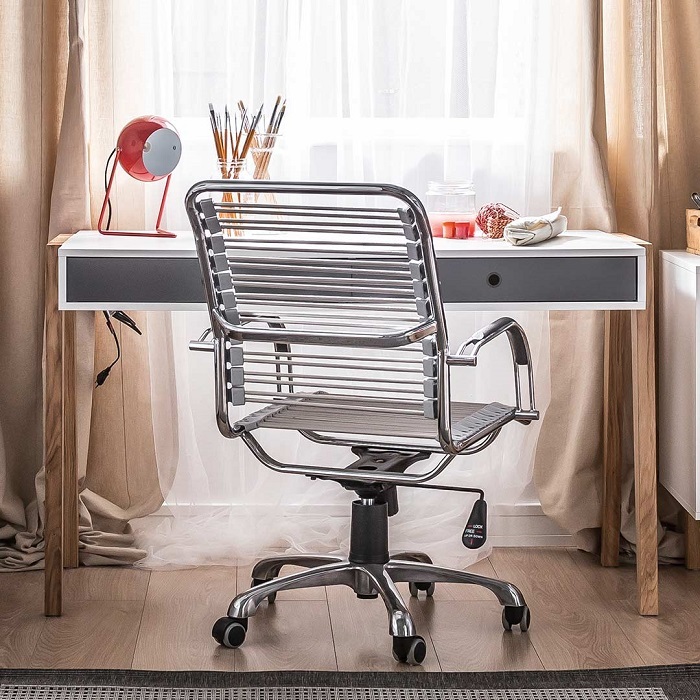 Another trick to get the best light is to look for a movable desk that can easily be shifted around the room, such as the Evolve Sliding Desk. This type of surface space is also ideal for activities such as sewing, which typically requires being able to access your surface from various angles to measure, cut, fold and pin fabric. For those transforming a home office or even a quiet corner of a bedroom or guest room into a craft area, a movable desk will also help to pack away your crafts when not in use. Add space with a double-sided desk. Double sided desks are great for kids who share a craft space. These desks are made with plenty of surface space so that two people can work on each side without cramping or interference. This type of desk will also free up space in smaller rooms, as more than one person can work at the desk at a time. Rather than having to fit in two desks, you can set up a single desk in a corner or against a wall. 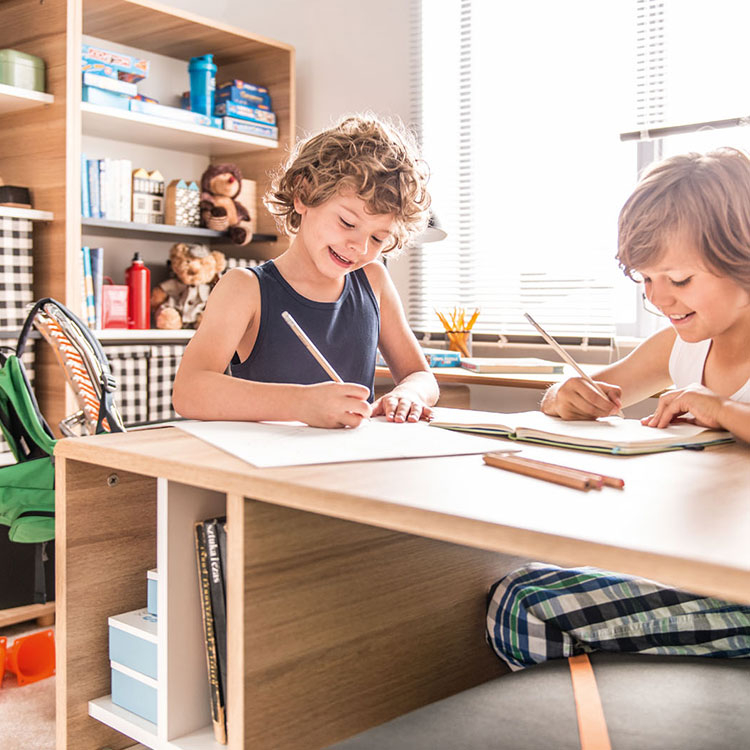 Desks such as the Spot Two-Sided Desk have optional extras such as desk organisers as well as drawers, which will keep art and craft supplies in easy reach. Ready to get started with your own crafty space? 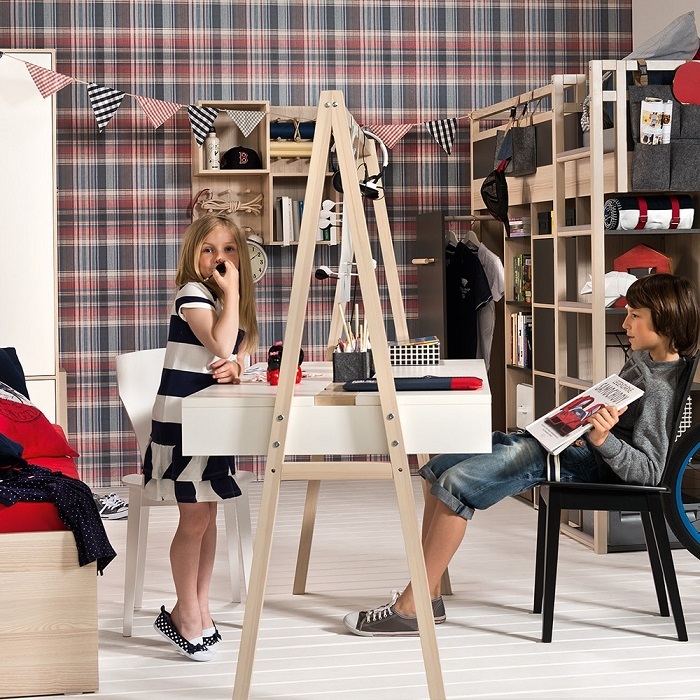 Browse the selection of desks on offer at VOX to start planning your dream craft room today.